Room 5: Happy School Holidays! The time has come!! Can you believe it is already the end of another term! We have been so busy and welcomed a few new faces, with more to come next term. It was great to see so any of our Room 5 students at the disco last night, it was a lot of fun. We have a few tired students today, so we had a relaxing time in the library this morning sharing our favourite books with each other and talking about why we like them. No homework over the holidays , so book bags are not being sent home. You can visit the local library and check out their books, or have a look at some of the activities on our blog if it's a wet day. 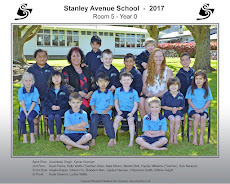 Below is a little movie clip of some of the amazing work Room 5 students have completed with Mrs Prattley and Mrs Preston around Maori myths and legends. Have a great break from school, stay safe, have fun and we will see you all in a couple of weeks!